Progressive Charlestown: Take action TODAY! to ensure that national marine sanctuaries and monuments - our blue parks - stay protected! You've helped us take action by reaching out to the U.S. Department of the Interior, we ask you to Stand up for Marine Sanctuaries and Monuments yet again by providing your comments to the Department of Commerce! Millions of acres of protected U.S. waters, including Northeast Canyons and Seamounts Marine National Monument, could be in jeopardy. An executive order targets national marine sanctuaries and monuments. Between now and July 26, we ask that you tell the Department of Commerce's why public lands and oceans need protection. The Department of Commerce is currently reviewing marine sanctuaries and monuments designated or expanded over the past 10 years. Any changes to these monuments and sanctuaries could make them vulnerable to human interactions and could threaten unique habitats and thousands of marine species and birds that call these places home. While the Department of Interior's public comment closed on July 10, you still have an opportunity to make your voice heard about why the nation's marine monuments and marine sanctuaries matter to you. Take action by July 26 by submitting your personalized message to www.monumentsforall.org/marine. Our blue parks are a source of pride for all Americans. Add your comments to the Federal Register and join us in defending our national marine sanctuaries and monuments. The 30-day public comment period ends July 26, so please make your voice heard today! 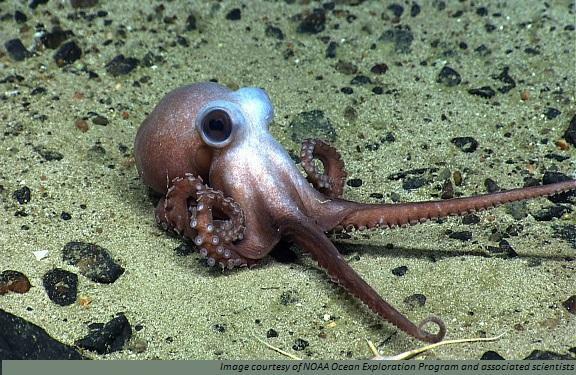 Click here to learn more about the Northeast Canyons & Seamounts Marine National Monument.